DUCKTAILS is the project of Real Estate guitarist Matt Mondanile. Their great new album "The Flower Lane" finds Matt ditching the loopy lo-fi experimental soundscapes of his past in favor of a glossier and funkier widescreen sound with members of Big Troubles as his new bandmates. CHRIS COHEN has played in bands ranging from Deerhoof to Haunted Graffiti to Cass Mccombs and many more. His solo debut album "Overgrown Path" on Captured Tracks is a homemade psych-pop classic, one of our favorites in recent memory. EMPRESS OF is a relatively new project from Brooklyn's Lorely Rodriguez, a former member of Celestial Shores who has taken the internet by storm with her infectious synth-pop jammers. MOON KING is a dreamy Canadian duo founded by Daniel Benjamin, who also plays with his brother Airick in Doldrums. Their debut E.P. "Obsession I" is not to be missed. IDIOT GLEE is the moniker of Lexington, KY's James Friley, a charming pop wunderkind who is no stranger to Oxford, MS.
CAVEMAN is a great NYC band with a new album on the way from our friends at Fat Possum. This party is going to start early. We're hanging out all day cooking burgers and what not. Doors are at 4pm, and the cover charge is $10, a steal for 6 bands if you ask us. BYOB, and as always, safety first at the ranch. Drinking & driving is not tolerated. Cabs are your friend. See y'all at Cats Purring Spring Break! 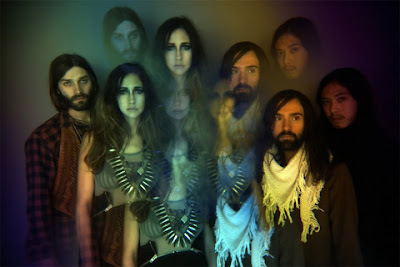 New York art rock legends in the making PSYCHIC ILLS are bringing their experimental psych tunes to LAMAR LOUNGE this Monday night 2/18/13. 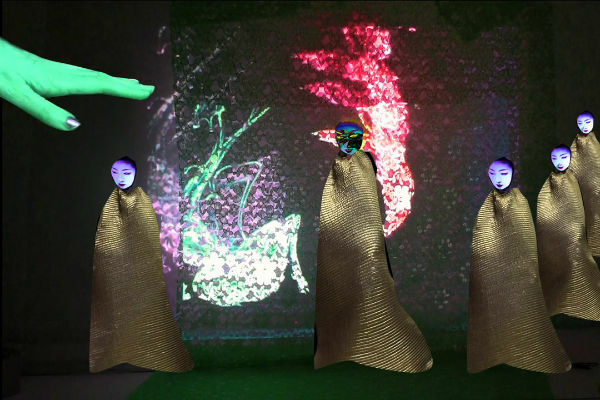 They're touring in support of their excellent new album "ONE TRACK MIND," which features contributions from Neil Hagerty of Royal Trux fame and is being released by the great NY label Sacred Bones. You can stream the LP in full HERE. Opening the show will be Memphis, TN's krauty weirdo pop collective CLOUDLAND CANYON, who you can read about in this nice Altered Zones profile from a couple years back. Doors are at 9pm. Cover charge is $5. See y'all there! Hey Oxford, listen up. 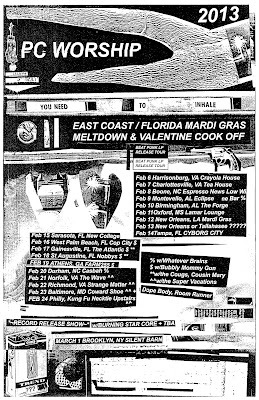 Our old pals PC WORSHIP are bringing their "East Coast / Florida Mardi Gras Meltdown & Valentine Cook Off" tour to Lamar Lounge on Monday night 2/11. They're celebrating the release of their new album "BEAT PUNK," the contents of which AD HOC describes as "mutant soul ditties, dementedly wandering through grunge, punk, and free jazz." The record also happens to be coming out on the excellent NEW IMAGES label (run by our dear friend Matt Mondanile of DUCKTAILS and REAL ESTATE notoriety), so we're pretty pumped about its release. Opening up is the boy R. COLE FURLOW from DEAD GAZE playing an intimate solo set. Don't say we didn't warn you about this one. Doors are at 9pm, and cover charge is $5. See y'all there. We've got a #rare #epic 4 band bill popping off at Lamar Lounge this Wednesday 2/6/13. Because it's 4 bands playing on a weeknight, this thing starts early. Doors are at 8:30pm with bands going on at 9pm sharp. Don't be tardy. Cover is $8. See y'all there. A few years ago, a psych band of delinquents from San Francisco called CCR HEADCLEANER played one of the weirdest, most intense sets we've ever seen in Oxford. If you were there, you remember. 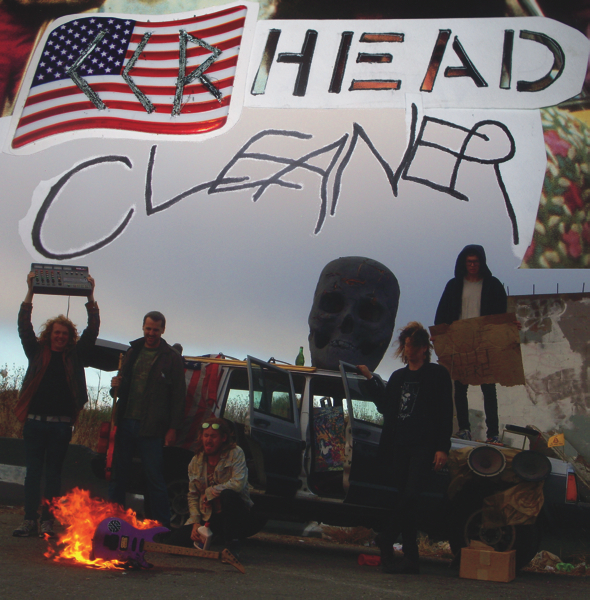 If not, come check out POLLEN SEASON (also known as DREAMCLEANER), a project by our dear old friend Al of CCR HEADCLEANER, Tuesday 2/5/13 at Lamar Lounge. Also playing the show will be excellent Memphis, TN punk band MANATEES. They have a new 7" out produced by JACK OBLIVIAN. We recently saw them shred with QUINTRON & MISS PUSSYCAT, and it was good times. Come out and play on a Tuesday night. Doors 9pm. Cover $5.